How do we speak with confidence into the public square? What contribution does Christianity make? Why should secular society listen to what they see as a dusty old manuscript? These are very topical matters in Australia and probably in Canada also. The relationship between Christian schools and broader society is caught up in the same questions. Why is this form of honesty so easy within some societies? My heritage, in the Christian Reformed Church, will be familiar to some involved in SCSBC schools. As a child, I’d hear my dad preach from the Heidelberg Catechism each Sunday night. This type of instruction has been going on for over four centuries in Holland and has had a profound influence. It has reached into the DNA of the country. In the Heidelberg Catechism’s Lord’s Day 42,1 you’ll see an extended explanation that goes beyond theft. It goes so much further, covering areas like tricks, sneakiness, exorbitant interest, coveting, waste, and then on the positive side, seeking the betterment of your neighbour and caring for the needy. The Heidelberg illustrates the breadth of “thou shalt not steal” and explains it in the light of the rest of Scripture. Why is a big issue for Christian education. 1. It helps us to understand and appreciate where our social values, legal values and institutions have come from. Where does good business trust in UK commerce come from? Where does paying when no one’s looking in Holland come from? Where does the freedom to teach from your faith perspective in Canada come from? Mangalwadi says these values and freedoms are founded in the Scriptures. 2. It’s also a huge confidence booster. In a secular context where Christian schools are painted as being narrow, exclusivist, irrelevant, bigoted, intolerant, judgemental and so on, we can interrupt those false perceptions and point out that we stand for a wonderful set of values and attitudes that are steeped in the Scriptures and provide value to our society at large. 3. It affirms the message of the Scripture’s relevance. By opening up the way the Scriptures speak into our everyday, we inspire our students to see how essential and relevant God’s Word is for their lives. 4. It reminds us we’re making a contribution to the common good. If you were to brainstorm a list of core values that undergird Canadian society, you’d come up with quite a list, and the vast bulk would find their beginnings in the Scriptures. We’d say these are intrinsic to our lives and pivotal for a healthy society. … students are charged to actively contribute to the common good and build a flourishing society, a healthy nation. A word of caution. Some Christians claim that all we need to do is return to our heritage, our roots and reclaim the territory. I’d suggest this is unhelpful as such claims are historically and intellectually challengeable. The inference is that we are or have been the common good. It’s far more balanced and theologically sound to talk about contributing to, or being a presence for, the common good. This discussion should be kept to the significant influence of the Scriptures, the gospel message and the Judeo-Christian ethic. In conclusion, one of the big challenges for us as Christian school leaders is to ensure that the Scriptures speak into every nook and cranny of the school yard. We particularly want our teachers to use the Scriptures meaningfully, not in a trite way. As we affirm again the dynamic-ness, the significance and the relevance of the Scriptures, we return to “thou shalt not steal” and we can see two contrasting approaches. Even the most secular person knows that one of the biblical commandments says “thou shall not steal.” And sadly, that could be the most predominant image they have of Christianity – a whole list of “thou shalt nots” – limited, not expounded, culturally out-of-step, judgemental and moralized. Our Lord is insulted because He wants to speak into every square inch of life, not be sidelined into mockery and irrelevance. But there’s another way to read the text. Even though, “thou shalt not steal” is just four words, they are still rich and relevant in meaning. We know the eighth commandment touches our actions when no one’s watching. We know it impacts all the mechanisms needed for a flourishing economy. We know that when we dig deeply, contextualise, and unpack the relevant, needed and applicable message, the Scriptures come alive with renewed influence and meaning. As we seek the Kingdom of God in education, let us continue to drink deeply from this vat of delicious milk, this wellspring of God’s revelation for schooling and for life. 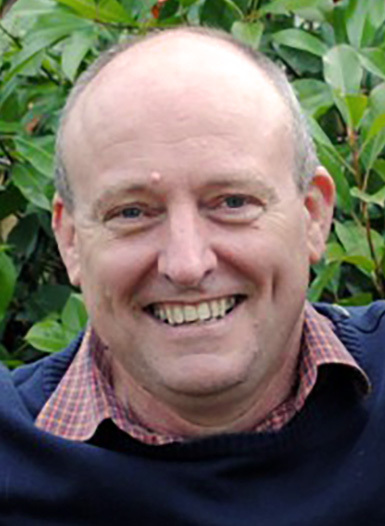 Guest author Martin Hanscamp is the Executive Officer for the Australian Association of Christian Schools, a political advocacy organization for Christian schools Down Under. He visited British Columbia earlier this year for a “sticky beak” and left thoroughly inspired. Martin shared the above reflection as a devotion at the SCSBC Business and Development Conference in March 2016.